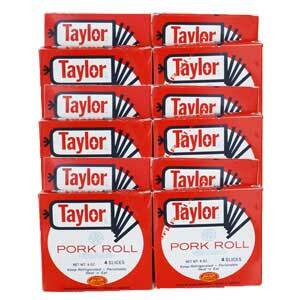 Twelve boxes of Original Taylor Pork Roll, also referred to as “Taylor Ham. 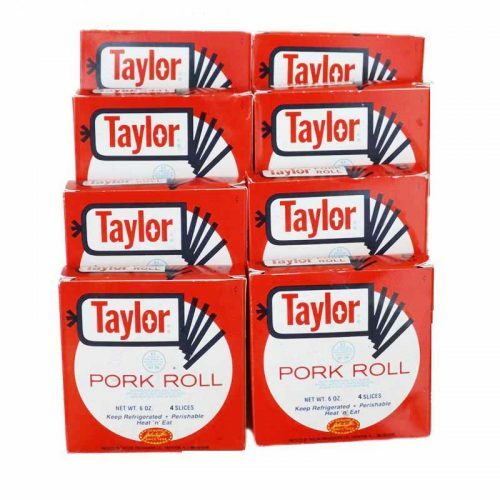 ” THIN sliced, in convenient 6 oz packages for a total of 4.5 lbs. My husband. 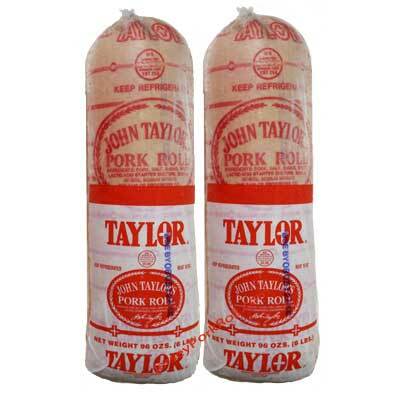 swears by this, and once our market stopped selling it, he was miserable…until I found them online! 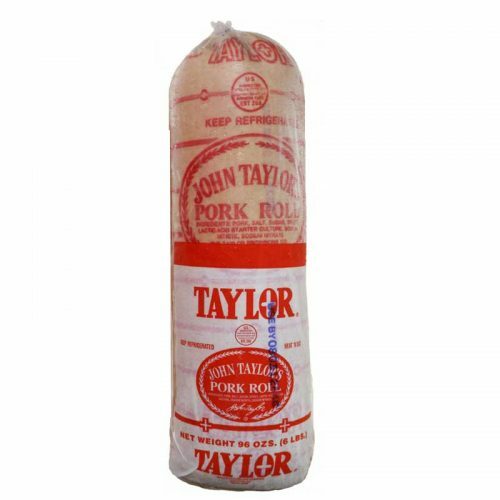 I love Taylor Ham-Pork Roll and have been buying it online for several years. I live in California and can not buy it locally. My kids and now my grandkids are “addicted” to it! Im formally from NJ where they ave it. But now since I relocated to Alabama. I order it online. Both in single boxes sliced thin. 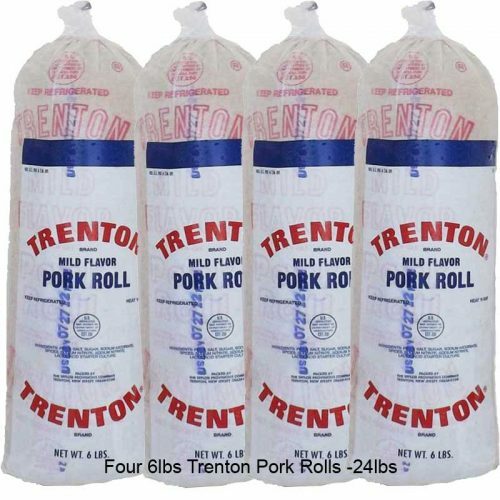 And both in 1.5 lbs rolls. Since I have my own slicer. I make sure I have a good supply on hand.